Do you know Albert Sabin and his achievement ? Last week at the Toll booth of Rajiv Gandhi Salai (OMR) in Chennai, the AC bus slowed down…. Two staff nurses entered the bus – no, not for travelling – one of them loudly enquired whether any children below the age of 5 was travelling in the bus….they were ready with polio drops… ! exemplary !! 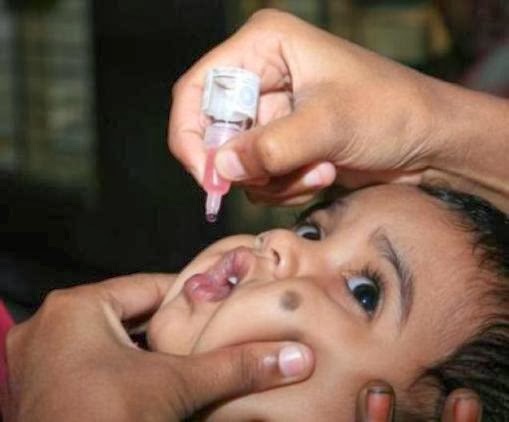 In Chennai and other parts of Tamilnadu, the Govt had arranged for administration of polio drops to all children below the age of five on January 19 and February 23. The drops were administered at government hospitals, primary health care centres, polio drop booths attached to noon meal centres and many other public places. The news for celebration is 13th Jan 2014 marked three years since its last case of polio was reported, a major public health success for a country that until recently accounted for most of the world’s cases. “Proud day for all of us as Indians,” Junior Home Minister RPN Singh wrote on Twitter. “India is polio-free for three years.” That is the official time period without a case for a country to be considered free of a disease by the World Health Organization (WHO). The achievement was due to a massive immunisation programme, Health Ministry spokeswoman said, adding that the WHO was to formally certify India polio-free on 11 February after checking the data. “India was once thought to be the most difficult country in which to achieve polio eradication,” the Global Polio Eradication Initiative said in a statement. The global eradication of poliomyelitis is a public health effort to eliminate all cases of poliomyelitis (polio) infection around the world. The global effort, begun in 1988 and led by the World Health Organization (WHO), UNICEF and the Rotary Foundation, has reduced the number of annual diagnosed cases. The progress made by India in eradication of Polio is unprecedented. Reports state that the last case of polio due to wild poliovirus in the country was detected on 13 January 2011 in Howrah district of West Bengal. This monumental progress in polio eradication brings India and the South-East Asia Region of WHO, comprising 11 countries (including India), very close to the polio-free certification. It has taken nearly 16 years, since it began its efforts to eradicate polio, to finally get rid of the wild polio viruses from the country. The success of polio eradication in India is a tribute to the strong commitment and leadership of the Government of India and the State governments. Reaching the vast population with diverse socio-cultural practices, overcoming the physical and social barriers, achieving high vaccination coverage in all areas despite weaknesses in health systems and ensuring coverage of the most vulnerable newborns and migrant populations have been the major challenges that have been overcome by the polio programme in India. Heightened surveillance for poliovirus has been the backbone of the polio eradication initiative in India. While tremendous progress has been made over the past many years and sustained over the past three years, India remains at a risk of polio resurgence through a distant or cross-border importation of the wild poliovirus from countries with ongoing transmission. India is fully aware of the present global situation of polio eradication. As a polio risk mitigation strategy, 102 vaccination posts have been identified along the bordering areas of Pakistan, Nepal, Myanmar, Bangladesh and Bhutan to ensure continuous vaccination of children under the age of five years crossing these borders. The country is also seeking polio vaccination of all travellers coming to India from the polio endemic and recently infected countries before their departure to India. Albert Bruce Sabin was a Polish American medical researcher best known for having developed an oral polio vaccine. Sabin was born in Białystok, Russian Empire (today Poland), to Jewish parents; in 1922 he immigrated with his family to America. In 1930 he became a naturalized citizen of the United States and changed his name to Sabin.